The consequences of a data breach have a greater impact in the United Kingdom versus the United States where 41% of British consumers said they will stop spending with a business or brand forever, compared to just 21% of US consumers, following a data security breach. The research into consumer trust and spending habits was conducted by payment security specialists, PCI Pal, and pointed to some clear cultural differences between the two countries. The survey found that 62% of American consumers would instead stop spending for several months following a security breach or hack, with 44% of British consumers agreeing the same. Over half (56%) of all UK respondents were more reticent to give credit card details verbally over the phone than their American counterparts where it was found that four out of every ten (42%) of US respondents were uncomfortable reading out their details. 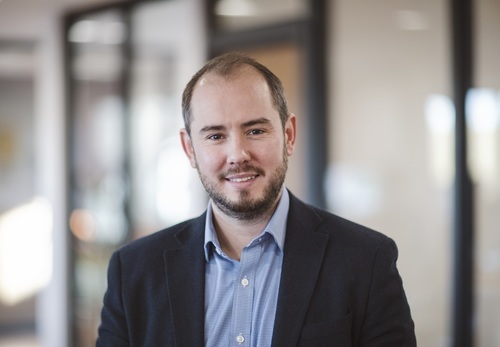 “Awareness of data security is something that is on everyone’s radar, yet our UK and US surveys have highlighted some real differences of opinions and traits, when comparing attitudes to data and payment security between the two countries,” explains James Barham, CEO at PCI Pal. Looking at trust in businesses and brands, 55% of UK respondents felt they could trust a local store with their data more than a national company. They felt a local store was more likely to care about their reputation (30%) and hackers were less likely to target a local store as it is smaller (25%) while only 22% felt a national company would be more secure as they follow more security protocols. In stark contrast, the reverse was true in the US with only 47% of respondents feeling they could trust a local company more than a national chain. In fact, 28% felt a national company would be more secure as they follow more security protocols, while 25% felt they have more money to invest in security protocols. Almost a third (31%) of UK consumers stated that they would spend less with brands they perceive to have insecure data practices, compared to just 18% of US survey respondents. Interestingly, 44% of US consumers said they have been a victim of a security breach, compared to just over one third (38%) of UK respondents. With a clinical and consulting practice in New York City, PCI Pal invited psychotherapist Dr Ellyn Gamberg to review the findings of the surveys to compare the behaviours of UK and US consumers and their attitudes to data and payment security. •	UK consumers suppress their negative feelings regarding a breach longer, and take longer (or never return) to brands, compared to US consumers. Dr Gamberg: “The research indicates differences in measurable responses between consumers in the UK versus America, such as spending habits, customer and brand loyalty; and concern over providing personal data. However, all these behaviours are results of unconscious and conscious thoughts and feelings and cannot be accurately measured by self-report. The expression and internalisation of these responses is highly personal and cultural. As a result, it is critical that this be considered in order to effectively mitigate past damage, and future efforts, to create trust. For more information regarding PCI Pal, visit www.pcipal.com or call +44 (0) 207 030 3770. In the United States, PCI Pal conducted market research through AYTM, surveying 2000 U.S. consumers aged between 18 and 65 years with annual incomes between USD $25-$500K to uncover customer service preferences and security concerns when sharing personal information online and over the telephone. The survey findings highlighted changing behaviours and considerations for consumers in 2018 around data privacy, brand trust and impact on spending resulting from security breaches. In the UK, PCI Pal conducted market research through Atomik Research, surveying 2,002 consumers across the United Kingdom aged between 18 and 65 years with annual incomes in excess of GBP £20,000 per annum to uncover customer service preferences and security concerns when sharing personal information online and over the telephone. The survey findings highlighted changing behaviours and considerations for consumers in 2018 and into 2019 around data privacy, brand trust and impact on spending resulting from security breaches. Atomik Research is an independent creative market research agency that employs MRS-certified researchers and abides to MRS code. •	Top level statistics breaking down the findings by region, age group, income and more are available on request. •	A copy of PCI Pal’s ‘This Is The UK’ ebook, which provides a more detailed review of the findings is available to download here. •	A copy of PCI Pal’s “This is America” ebook, which provides a more detailed review of the findings is available to download here. Dr Ellyn Gamberg is a psychotherapist who maintains a clinical and consulting practice in New York City. Throughout her twenty-five-year career in Behavioural Healthcare, Dr Gamberg has held clinical positions, taught at major colleges and universities, and has been a consultant to community organizations, private corporations, healthcare and legal institutions, and to the media. Dr Gamberg specialises in using both cognitive and unconscious approaches to help individuals and corporations resolve both internal and external conflict by changing behaviour and perception. She is nationally certified by the American Society of Clinical Hypnosis, and has earned recognition in the area of anxiety and adjustment disorder, or Forensic evaluation. Dr Gamberg received her Doctoral Degree from Nova South-Eastern University, completed her Master’s Degree at the University of South Florida and earned her Bachelor’s degree at Temple University. This press release was distributed by ResponseSource Press Release Wire on behalf of Peptalk Communications in the following categories: Men's Interest, Personal Finance, Business & Finance, Retail & Fashion, Computing & Telecoms, for more information visit https://pressreleasewire.responsesource.com/about.